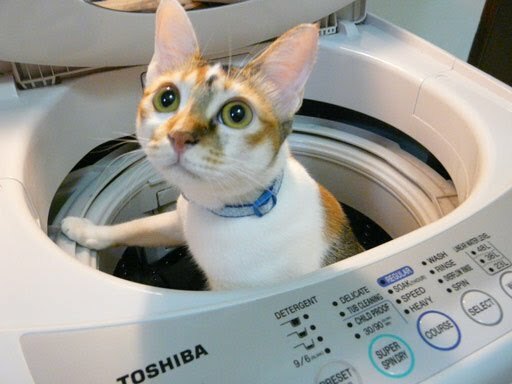 Apart from biting plants, Creme also likes to jump onto and into our washing machine for fun. 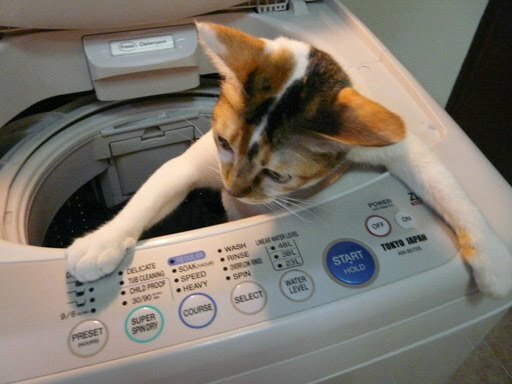 This was us trapping her in the washing machine in the hope that she can sense the danger of climbing into it again. 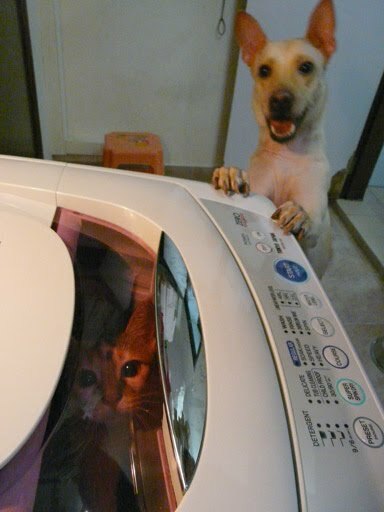 But, no sign of fear from this feline. She continued to look curious as always. And even wanted to press the 'delicate' button.